May is another key month for those following the auction season, as the bidding spectacle then traditionally takes place at the idyllic Lake Como in Italy. RM's bi-annual sale at Villa Erba, held in partnership with the revered Concorso d’Eleganza Villa d’Este, has been hyped over the past months for hosting the first sale of this century's 'Holy Trinity' (P1, 918 and LaF at the same auction). However, let that not distract from the fact that there will be 3 absolutely wonderful 911s up for bidding as well. The first 911 in the list is by far the most hyped one of the past weeks, perhaps even more than the Holy Trinity offering, as it represents not only one of the rarest 911s ever made, but also one of the most untouched examples ever encountered. Of the 51 Carrera RSR cars that Porsche produced, it's near impossible to ever believe there would still be one with as little kilometers as this one. It is still covered in its factory-applied Cosmoline coating to protect the body, and has covered only 10kms since new. For 25 years it has been stashed into a private collection for nobody to see, and here it finally is. We leave it up to you to debate the car's Polar Silver with interior in Guards Red spec, yet we cannot express any other sentiment than pure excitement to see how this one will perform. 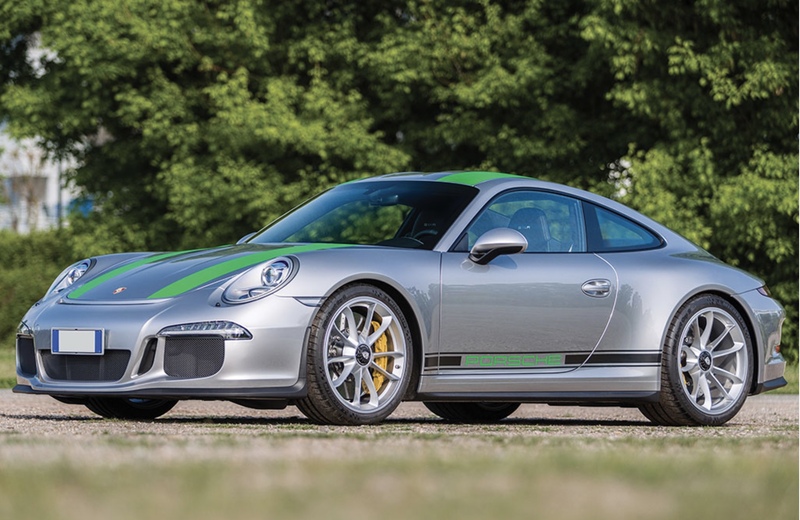 This lovely GT Silver 991 R with green striping is number 235 of the 991 examples produced and has driven less than 1,000km from new, making it another 991 R bought as a speculation asset. Hammer prices of around 500,000 Euro have been the standard so far for the R, yet this time around we are actually interested to see if this is still the case. There are strong rumours that the brand-new, 4-litre GT3 will be available to order with a comfort package (includes wing delete). The manual gearbox in the GT3 is the same as in the R, yet it's new 4.0L flat six is claimed to be superior to that of the R. Would this give cold feet to those speculating on their 991 R? The bidding estimate is expecting a landing just north of 400,000 Euro which is conservative versus prior results. We will know by end next weekend whether the hype is over or not! 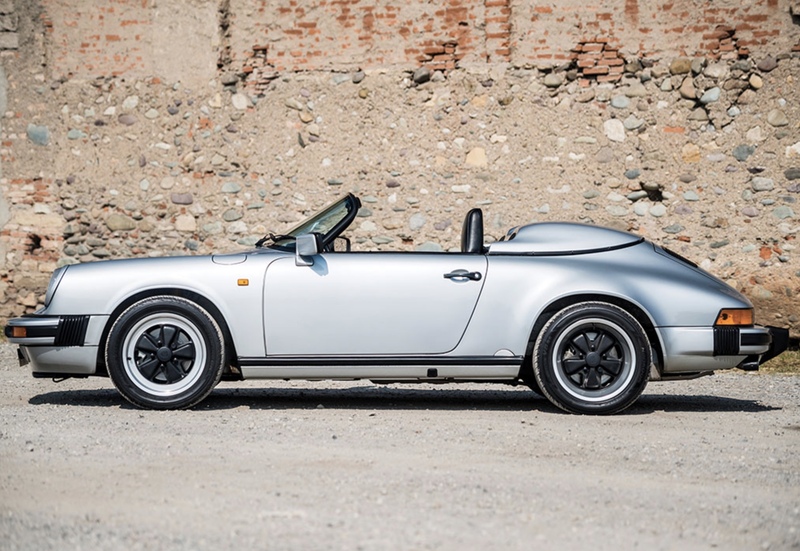 Perhaps the coolest 911 that will be offered at Villa Erba is this '89 G Series Speedster, one of only 171 narrow body Speedsters to have left Weissach. 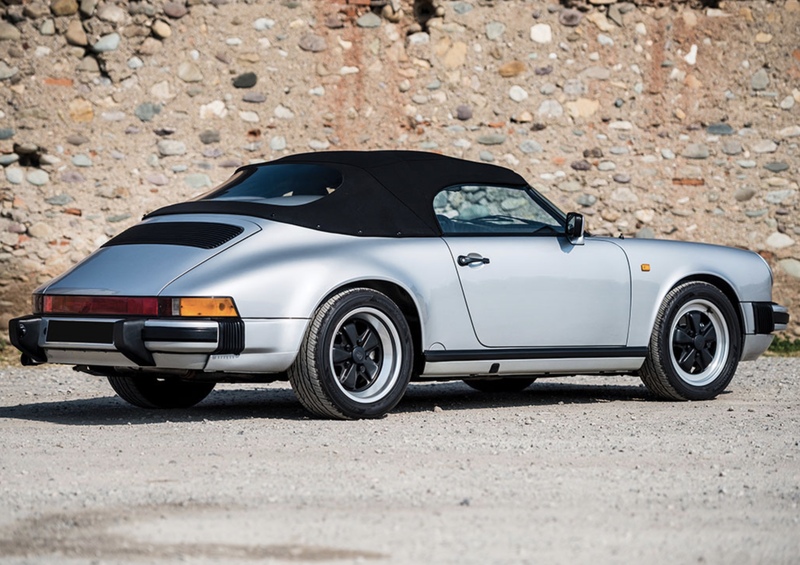 The narrow body in combination with its simple silver on black spec makes this an incredibly subtle version of an amazing, say even legendary air-cooled 911. With only 77,000 kilometres and a well documented history covering ownership in both Italy and Japan, we'd go as far to say that this car is probably the best value-for-money 911 coming to Villa Erba this year! 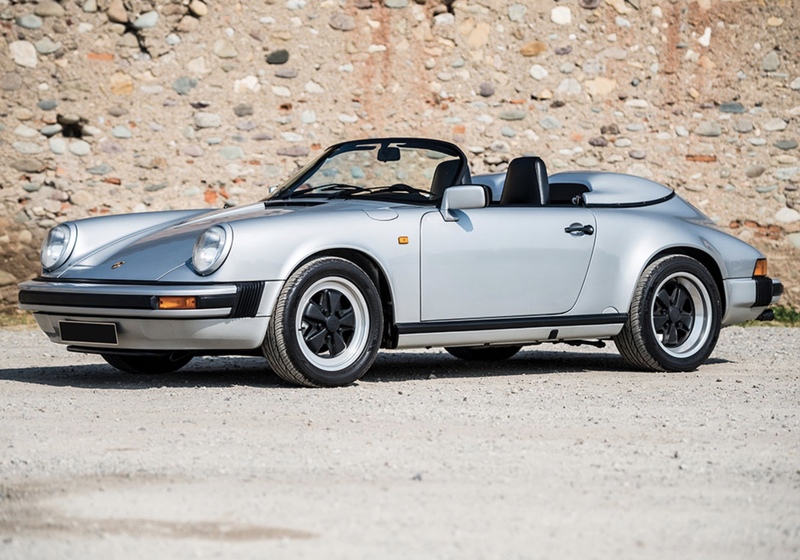 Looking for a great 911 G Series Speedster? Then we have a great Guards Red example for sale in Belgium, check it out here! Full credit to RM Sotheby's including pictures, detail on the Villa Erba sale here.